At SADA, our policies and business practices stand as a reflection of our commitment to making South Africa a better place by meeting our responsibility to address economic, social, and environmental issues in our broader world of work today through the means available to the profession. This commitment is evidenced by the ethical and professional conduct and approach of our employees, dental practitioner members in both public and private practice. It is this philosophy that guides and impacts the type of products and services we develop and how we interact with the communities we serve. We take seriously our responsibilities to help the world achieve more. Our dentists and staff are thus involved in programmes that support this commitment, and hereunder are examples of such programmes. 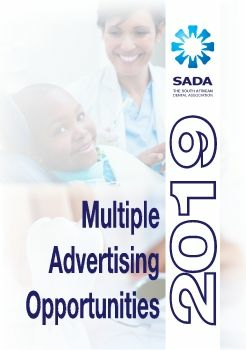 SADA is pleased to be able to partner with Smile Foundation, a South African non-governmental organization with a comprehensive health care vision for children living with facial conditions. Smile Foundation together with the country’s Academic Hospitals work together to put the smile back onto children’s faces with corrective facial reconstructive surgery and treatments. Smile Foundation help children in need of surgery for treatable facial anomalies such as cleft lip, cleft palate, nose and ear conditions, facial paralysis (Moebius Syndrome), burn wounds and craniofacial abnormalities. Even though Smile Foundation is a charity for children, they understand that parents want nothing more than to help their children in need and at times cannot do so due to financial restrictions. They aim to positively increase the quality of life for South Africa’s disadvantaged families by encouraging, informing and educating the parents throughout the process. Smile Foundation is currently based in ten academic hospitals in South Africa and partner with the National Department of Health and the South African Dental Association, and continually strive to support their teams of qualified, compassionate medical and dental staff by investing in further skills development programmes, as well as the purchasing of much needed medical or dental equipment for the departments specializing in plastic and reconstructive surgery within these hospitals. Smile Foundation in partnership with SADA are dedicated to transforming the lives of children living with facial conditions in South Africa.